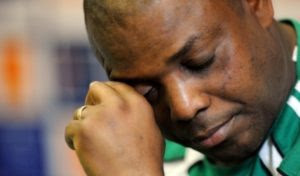 After a torrid week in the history of Nigerian football during which two greats, Stephen Okechukwu Keshi and Shuaibu Amodu passed on, burial plans for Keshi is expected to commence this week with meetings to be held with various strata of government. Amodu was buried on Saturday according to Muslim rites. Indications have already emerged that Keshi will be buried in his ancestral home of Illah, in Delta state, with the Federal Government, Edo, Delta and Cross River state governments already indicating interest to be part of the burial ceremony. More states are expected to indicate interests. Family sources said Abuja, the Federal Capital will be the first port of call, with players of the national team expected to be led by Super Eagles Skipper John Mikel Obi to play a part in the burial ceremony. His children are also expected to start arriving from the United States later this week as arrangements peak for his burial.